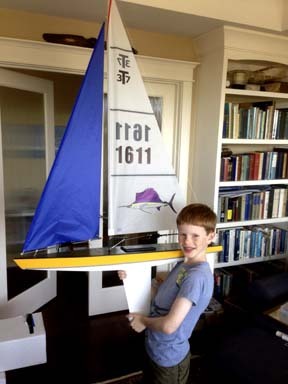 In the wonderful tradition of the wooden toy sailboat, wood toy boats, pond sailers, model sailboat toys, and pond boats, this model sailboat kit for the T12 Racing Sloop is fun to assemble and fun to sail. 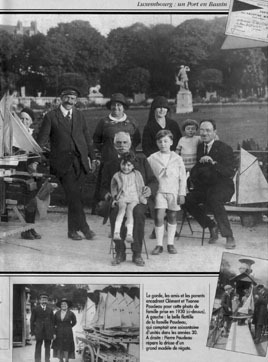 Whether in the Central Park model boat pond, Conservatory Waters, Paris model sailing ponds, the sailing pond in the Jardin de Luxembourg, or at the Louvre, in the Jardin de Tuileries, in Spreckles Lake in Golden Gate Park or at any local lake, the T12 toy sailboat will sail fast and true. Completely self-righting the T12 model sailboat can sail in big waves and big winds. The solid cedar hull can never sink and never capsize, no matter how stormy the seas. Follow your T12 Model Sailboat in a canoe or kayak, or sail from shore with a light fishing line attached to the bow. Tug on the line and your T12 toy sailboat will turn, tack and sail back. 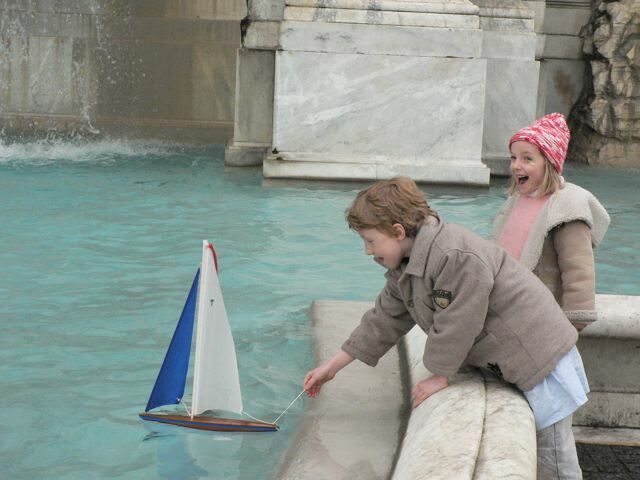 In smaller model sailboat sailing ponds, sail your T12 model sailboat right across and meet your toy sailboat on the other side of the sailing pond. 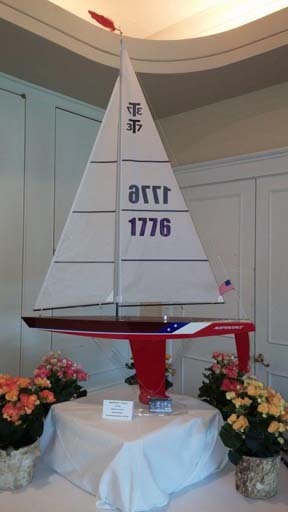 It is not wrong to call the T12 a toy sailboat, but the T12 model sailboat sails like a real full sized sailboat. All of the same sailing principles apply and the T12 model sailboat is designed for great sailing performance. 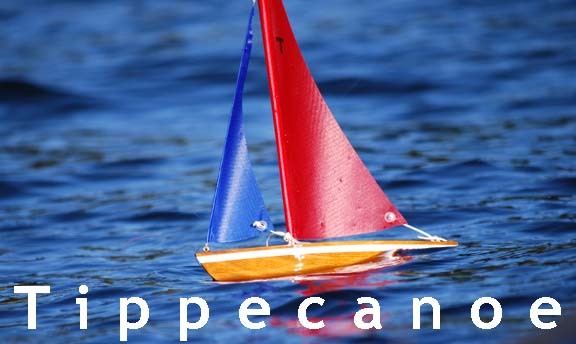 This is a toy sailboat that any adult can enjoy. This is a toy sailboat that a youngster can grow up with and later on sail the same boat with their own children. 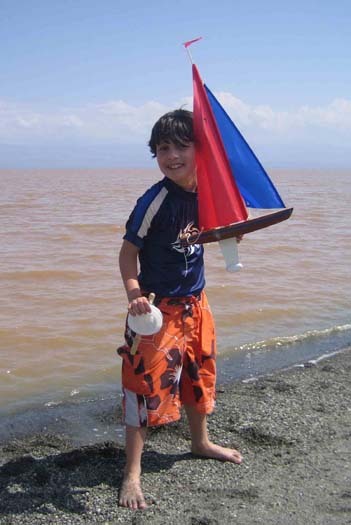 A true classic, the T12 toy sailboat is designed to last for years and years and to be marvelous for all ages, adults and parents as well as young sailors. What a great way to start a love for sailing in the heart of a youngster! It happened to me! The T12 Cruiser kit comes with all of the parts and instructions for a very easy (about 35 minute) assembly. All you need is a little varnish or paint.